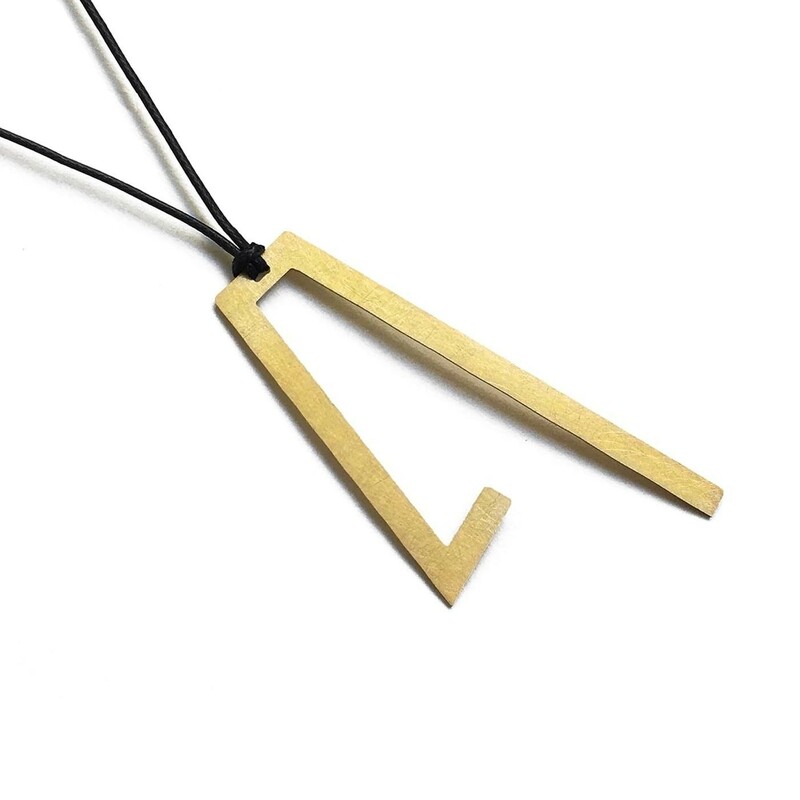 Angular Pendant is a minimalist geometric necklace in gold color by Athens based design studio “A Future Perfect”. Handmade in Greece. 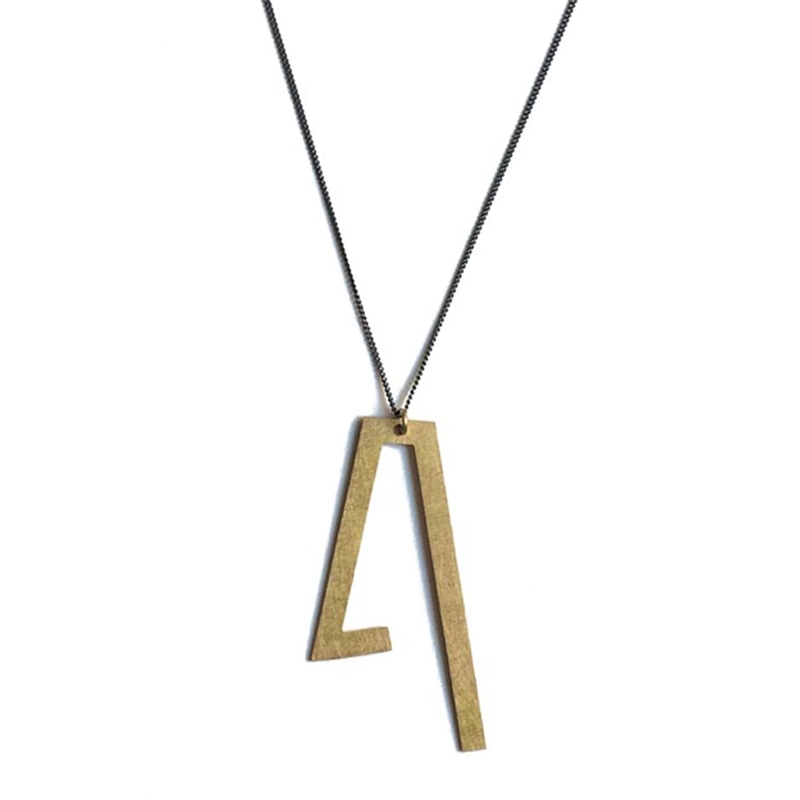 The angular pendant is of the collection’s most stunning pieces, combining minimal shape and eye-catching modern style. Dimensions: 7 X 3,5 cm.